Having a slick design and a wide product range is not enough to make the digital consumer rave about the e-store today. With millions of great websites available 24/7, people are spoilt for choice. To keep ahead of the competition, forward-thinking e-merchants focus on things that are really important. They launch customer loyalty programs, as online shoppers who are enthusiastic about the specific stores or brands are more likely to spend more when buying from them. When it comes to mature brands, more than 85% of their growth comes from such customers. Thanks to loyal buyers, ecommerce stores take advantage of the word-of-mouth marketing. The dollar impact of this effective marketing tool is significant. 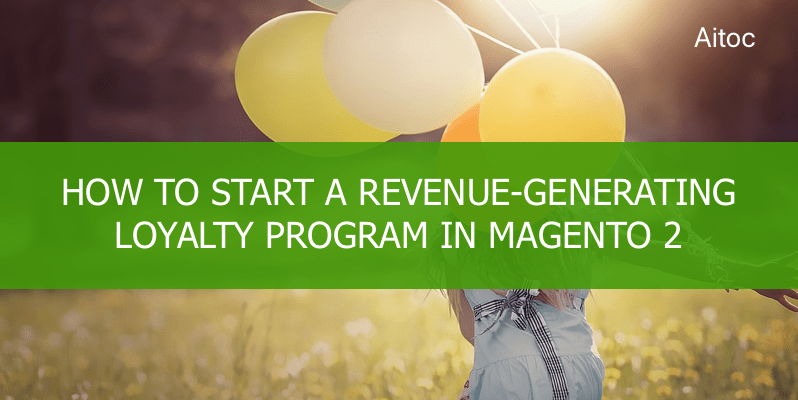 Loyalty Program for Magento 2 extension can help Magento-driven stores make the most out of loyalty programs. 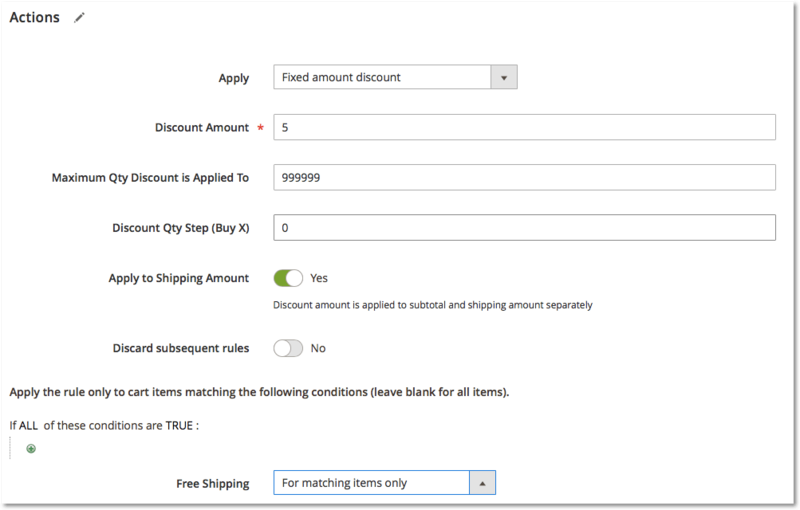 The module allows Magento admin users to create custom shopping cart price rules to be used in loyalty programs. In this article, we will discuss how to launch an effective loyalty program using this extension. Customers come across dozens of rewards and referral programs daily, and you should really put effort into positioning your own one so that to catch customers attention. Having decided on what’s your program is about, write a compelling description that would entice visitors you join the program straight away. 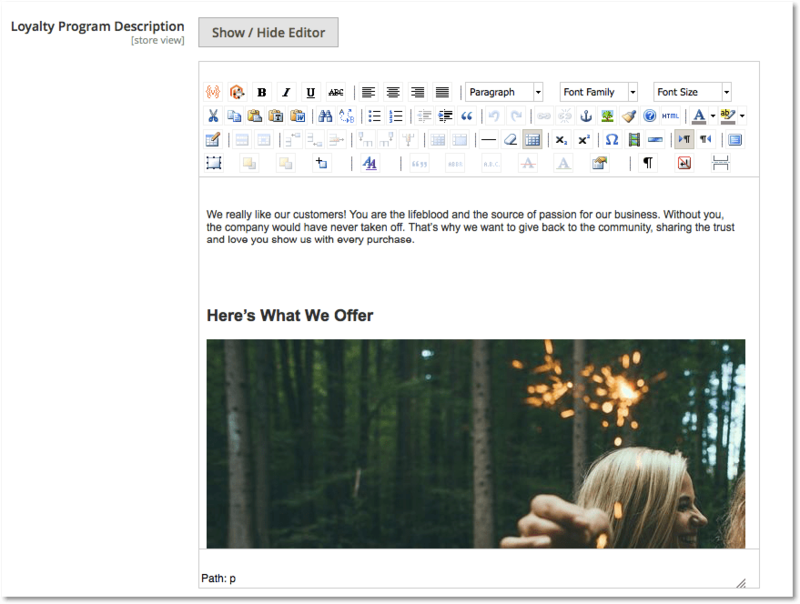 The Loyalty Program extension provides a convenient and intuitive editor interface where you can create the content for your future program’s page. Use short and catchy description and supplement it with vivid pictures and/or visualizations. Once you have come up with a perfect description of your terms for loyal customers, it’s time to decide on the discounts and set them up in Magento 2. To create a new pricing rule, go to Marketing > Promotions > Cart Price Rules. Fill out all the necessary fields in the ‘Rule Information’ section. Add a rule name, set the ‘Status’ field to active, select the websites where you are going to use the rule, and make all other necessary changes in the same way as you do it each time you create a new shopping cart price rule. The good thing about the extension is that it provides a great kit of settings. This way you can tailor your loyalty program to each customer segment if you need to. You can also make your loyalty program temporary by setting the duration period. 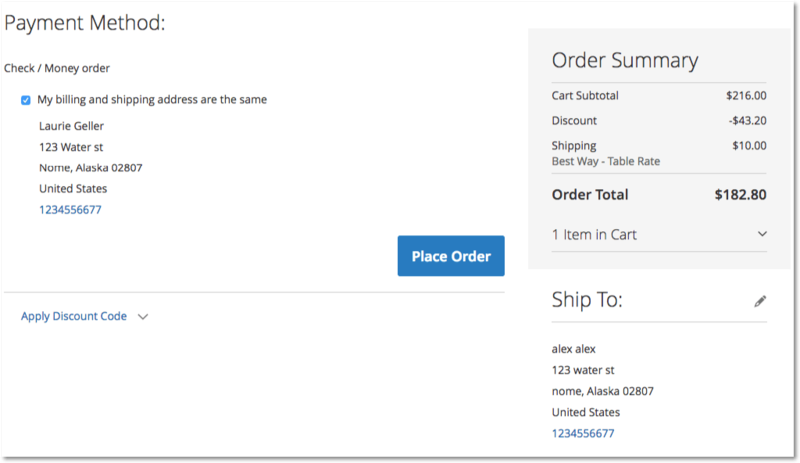 Here is how you can create shopping cart price rules for your customer loyalty campaign. This extension is a perfect solution for tiered loyalty programs. E.g., you can launch a tiered campaign where the discount scheme is based on the amount spent by registered users during a particular period of time. The Aitoc’s extension adds a new set of conditions in the ‘Conditions’ section. Depending on the loyalty program you’ve decided to launch, define conditions that the customer must satisfy to get benefits. 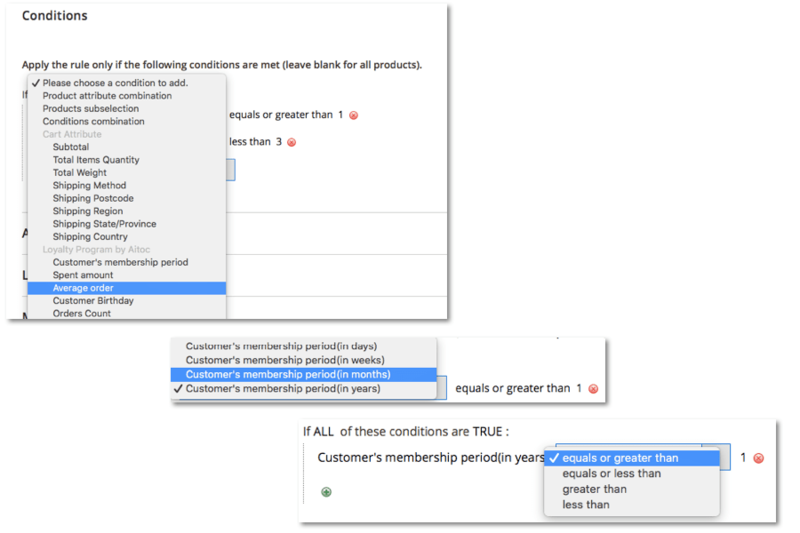 Once you are ready with program conditions, go to the ‘Actions’ section to define rule-specific actions that will trigger the discount activation. Select the necessary discount amount to make it available for loyal customers. Free shipping can be added to the pricing rules as well. To configure coupons for the program, go to the ‘Coupons’ section. 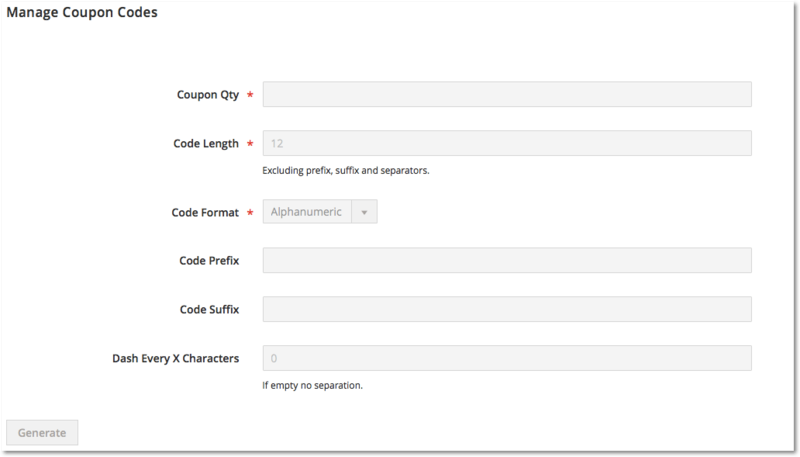 Here you can define the coupon format, length, and other settings. Don’t forget to display all the relevant campaign details on your website so that customers could access them at any time. You can give a fun name to every tier level and add an engaging description. 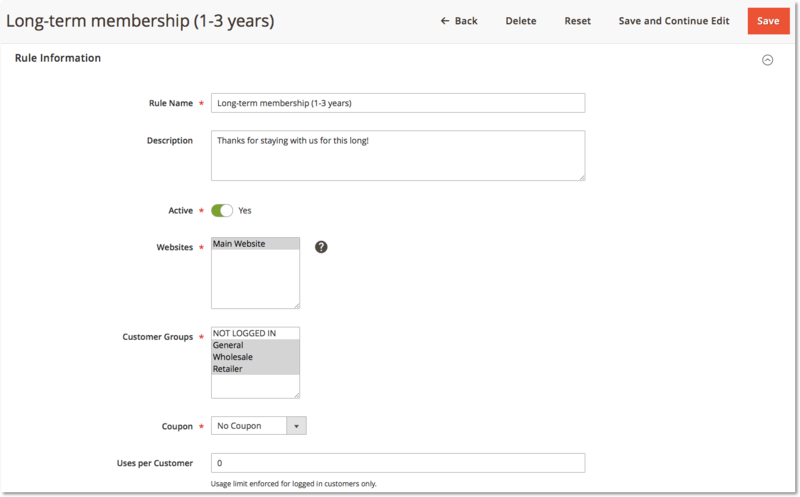 Users will be able to see a separate Loyalty Program page in My Account section. and their own key shopping statistics. Loyalty Programs are an effective means of encouraging customers to come back to the store. The more time the shopper returns to the web store, the more his/her potential lifetime value increases. Loyalty Program is a great extension that can assist you in building customer loyalty. Create inspiring rewards for long-time users, largest spenders, and big-tag buyers. Set free shipping thresholds, birthday discounts, and better deals for your loyal customers to boost sales and grow your community faster. By the way, we are adepts of our own extension, too. Join our discount program to start benefiting from Aitoc’s discounts and special offers right now.